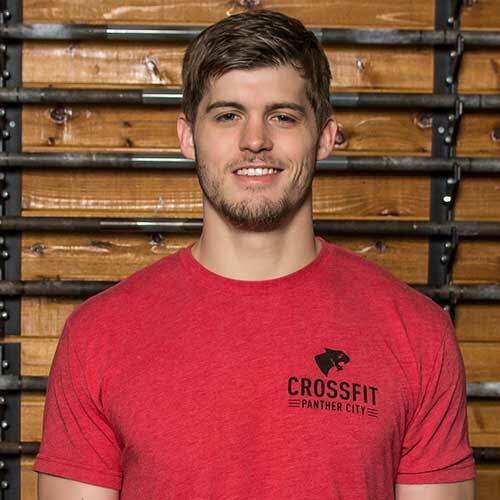 Owner and Manager at CrossFit Panther City, Reid has participated in sports since childhood and continued his football, baseball and track careers through high school. He attended Baylor University from 2009-2013 and participated in two seasons of club lacrosse before beginning his coaching career at CrossFit Waco in 2012. Over the course of the next four years Reid has coached a wide range of athletes, from beginners through advanced competitors in the CrossFit methodology. He has a knack for spotting movement and helping to correct it through coaching cues and technique work. His passion for health and fitness drives him to encourage and support those around them to meet all their wellness goals. Reid is also a type 1 Diabetic, diagnosed at age 6, he has used this disease to drive him to be the best he can be in all areas of sport and fitness. His sister, Dabney Poorter, leads the CrossFit Kids program at CFPC and serves as the director of Nutrition with education and diet planning.